We have invested in a new set of books to help us help you, when we are writing our Phase 1 desk studies. The Northampton Sand Formation and Marlstone Rock Bed are two Middle Jurassic geological formations that were laid down when dinosaurs roamed the earth, and the Midlands area was underneath shallow sub-tropical warm seas with a fluctuating sea-level. As a consequence, these two rock formations were formed and are rich in iron ore (primarily siderite - a ferrous carbonate). There is evidence of this ore being mined and smelted in the Midlands from as far back as 200BC and particularly in Roman Britain. 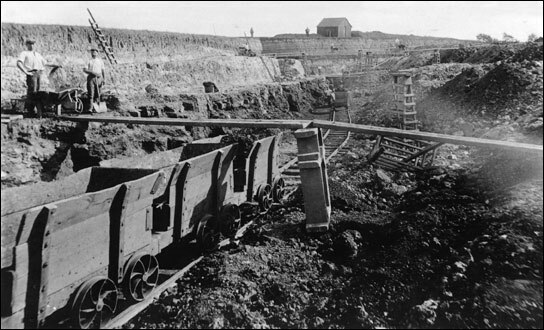 However, it was not until the Great Exhibition of 1851 that large scale opencast ironstone mining started to take place across the Midlands. 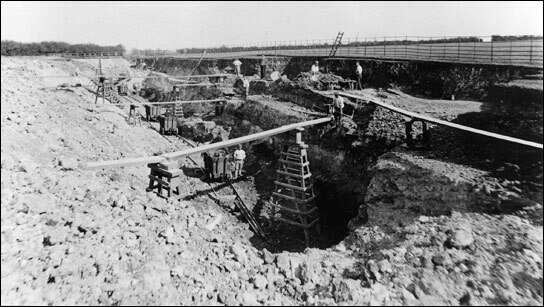 The mining process removed the overburden (usually Glacial Till clay) along a working face and dumped it behind the working face via a "plank and barrow" method, as seen in the photos below. If you are a developer now though, the consequence of this large scale mining is that across the area where this mining took place (Northamptonshire - Corby, Kettering, Wellingborough, Northampton - Buckinghamshire, Oxfordshire, Rutland, Lincolnshire) there are hundreds of sites where unconsolidated "dumped" ground exists. 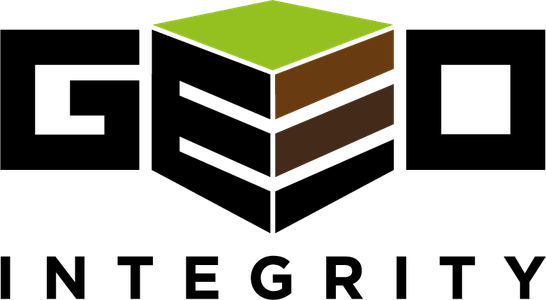 Severe settlement and structural problems can occur (and have) to buildings constructed on this ground using the wrong foundations. A well researched and thorough Phase 1 desk study and site investigation, undertaken by someone with local knowledge, and a good library, can identify such potential problems at an early stage (and for a very cost effective price). 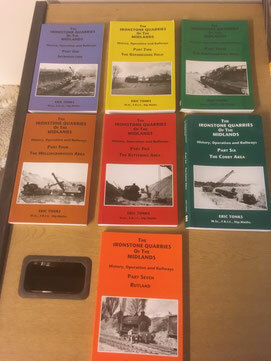 This is why we have invested in a series of books that show detailed maps of the location of these quarries and connected railways (also a potential source of contaminated land). If you are thinking of buying a development site in any of the areas stated above, drop us an email or give us a call on 01280 816 409 to see if we can help you.